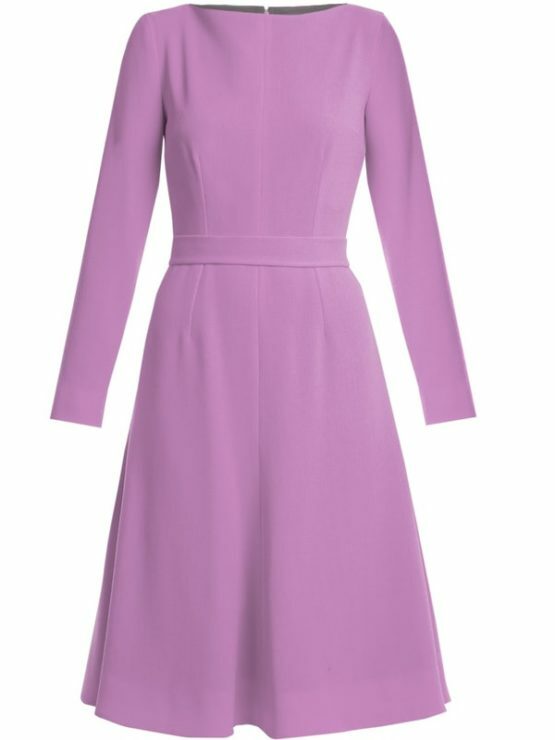 Kate wore Alexander McQueen blush pink gown at the banquet during Norway visit in February 2018. The princess gown features crystal flower embellishment around the neckline. The Highlight of the flowing gown was the cape that gave the gown a soft regal, vintage as well mysterious touch..